ROUND ROCK, Texas - With the team's 20th anniversary season on the horizon, the Round Rock Express are proud to announce that the club has entered into a Professional Development Contract (PDC) with the defending World Series Champion Houston Astros. The four-year agreement begins immediately and brings the club back within the Houston organization after it served as the Astros' Double-A affiliate from 2000-2004 and the club's Triple-A affiliate from 2005-2010. "This is a great day for all Central Texas baseball fans," Express CEO Reese Ryan said. "The Astros have been a big part of our family and this area for a long time. We're excited to partner with them once again as we get ready for our 20th anniversary season at Dell Diamond." "This will be a great partnership for the Astros and the Express in a variety of ways," Reid Ryan said. "We now have our two highest minor league affiliates back in Texas, which is great for our fans and, logistically, for our Major League club when promoting players. And, it should be a big plus for the Express on the field as well. As an organization, the Astros take a great deal of pride in our player development efforts, the results of which can be seen with the success of our minor league clubs and by our Major League club." "On a personal level, this is certainly an exciting day for our family as well. We have made so many great memories in Round Rock with the Express over the years. From all the work that went into bringing a minor league club to Central Texas to the championships won along the way, this city and this team will always hold a special place in our hearts." Since Jim Crane purchased the Astros following the 2011 season, the Astros have built and maintained one of the finest minor league systems in all of baseball, under the direction of Jeff Luhnow, the team's President of Baseball Operations and General Manager. Five of the Astros' minor league affiliates qualified for the postseason in 2018, including their Triple-A club at Fresno. The Astros also boasted the second-highest combined minor league winning percentage in baseball this season. That success in player development has translated into success at the Major League level as well, as several of the Astros current big league stars were drafted and/or developed in their minor league system. After the new PDC agreement was announced in front of over 700 season ticket members, sponsors and media on Thursday night at Dell Diamond, the Express also unveiled a new brand identity that embodies the heart and soul of the Round Rock community. The team's primary E-Train logo has been enhanced to more authentically represent the historic trains that came through Round Rock along the Chisholm Trail. The center of the E-Train is also a tribute to the iconic "Lone Star" that Texas is proudly known for. Fans will enjoy a new "double-R" mark as well, a cattle brand nod to the Ryan family's love of ranching. The double-R is the focal point of a new custom Express team font that fans can expect to see in 2019. "As we enter the next era of Round Rock Express baseball, it made all the sense in the world to give our brand a refresh," Express General Manager Tim Jackson said. "On the dawn of our 20th anniversary season and our rejoining the Houston organization, we're excited to pay homage to our original color scheme while giving our look a major-league redesign." The new look kicks off the Express' 20th anniversary season featuring a 20-year logo showcasing the iconic round rock that the city is named for perched in front of an Astros' rainbow-inspired sky commemorating the dawn of a new affiliation. The team has returned to its original navy and a new shade of deep red along with silver. The redesigned home white uniforms feature navy trim and showcase the team's "Express" lettering across the chest and a 20th season sleeve patch. The new navy home cap features the reimagined E-Train. On the road, the club will don traditional gray uniforms with "Round Rock" displayed across the chest and navy caps featuring the new double-R logo. Two alternate looks include a navy two-button henley and a white pinstripe uniform. "We pride ourselves on providing a major league atmosphere at the minor league level," Express President Chris Almendarez said. "This includes our unique brand and feel. Our partners at Brandiose did a great job refining our uniforms, logos, colors and the overall brand experience that fans will see when they enter Dell Diamond." The Express look was brought to life at Brandiose, where partners Jason Klein and Casey White make teams famous by celebrating their brand stories. The development process began in 2018 when Klein and White met with fans, staff and community members to learn about the stories, history and personality of the Express and Round Rock. Brandiose developed the logos, uniforms and is dreaming up enhancements for the 2019 fan experience. "The Express are one of the most respected organization in Minor League Baseball," Klein said. "It has been an honor to collaborate with the Ryan Family to connect the Express identity to the icons and traditions the Round Rock community holds so dear." The Houston Astros have seen unparalleled success at the Triple-A level this decade as the club's highest minor league affiliate has posted a winning record in seven straight seasons, including trips to the Pacific Coast League playoffs in 2013, 2015 and 2018. The Fresno Grizzlies, who served as the home of Houston's Triple-A club for the last four seasons, captured the 2015 PCL Championship before falling in the 2018 Championship series. During its first stint in the Houston organization, Round Rock enjoyed phenomenal success in its five-year Texas League affiliation, reaching the playoffs four times and winning the 2000 Texas League Championship. After joining the PCL in 2005, the Express posted a then-franchise-best 85-59 record en route to capturing their first-ever American Conference Championship. The Round Rock Express kick off their historic 20th anniversary season with Opening Day at Dell Diamond on Tuesday, April 9, 2019 against the rival Nashville Sounds. 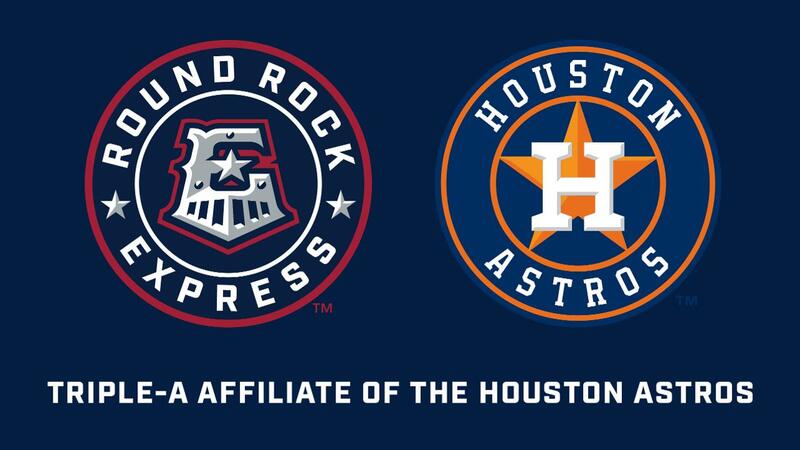 Round Rock Express Baseball, owned and operated by Ryan Sanders Baseball, LP, is the proud Triple-A Affiliate of the Houston Astros and a member of the Pacific Coast League.